As we strolled up the Hudson River Park the other day, the Lady and I passed a Department of Sanitation depot south of 14th Street. I would have loved to investigate the intriguing odors emanating from the garbage trucks, but the Lady insisted we hurry along (She does not share my fascination with garbage smells). Next door, we encountered this rusting steel arch fronting a disused pier. This pier, strewn with debris and currently occupied by construction vehicles, is connected with two major ship disasters. On April 18, 1912, the Cunard Line’s Carpathia arrived at Pier 54, carrying survivors of the Titanic disaster. The Titanic was part of the White Star Line and would have docked at its piers further north. And in the midst of the Great War, on May 1, 1915, the Lusitania departed Pier 54 on what would be its last voyage. The story of the Lusitania and her sinking by a U-boat was recently retold by popular writer Erik Larson in his book Dead Wake. On the crossbar of the arch, the faint white lettering of the Cunard Line is still visible, as is the White Star Line (from when the two companies merged). There are some photos of the pier in its glory days here. Now it’s slated for redevelopment into a park and amphitheater. I have a feeling I will not get a chance to leave my mark on this historic site once that happens, so I took my opportunity that afternoon. Carpe peem, if you will. We then crossed the highway and looped back downtown, sadly bypassing the delicious sanitation depot. 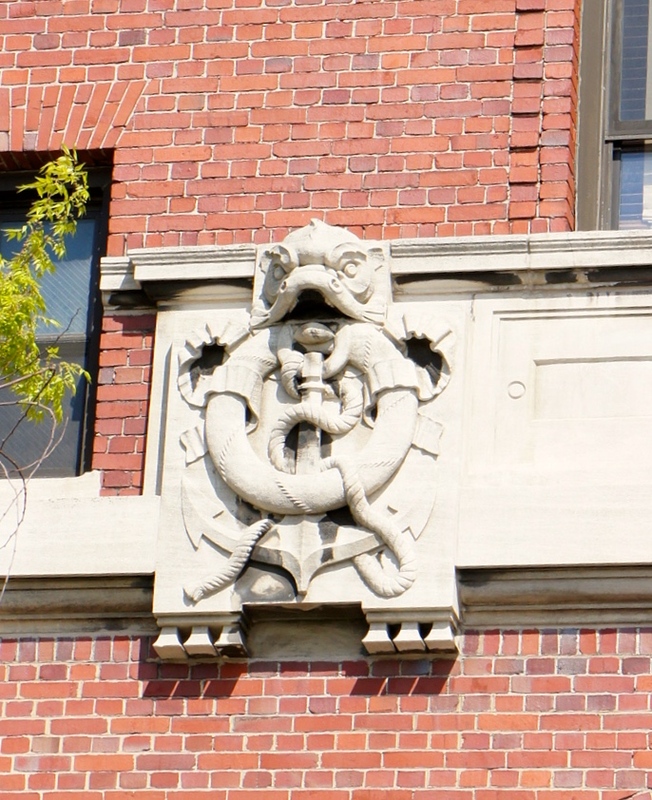 A few blocks further south, we passed the Jane Hotel, where this intricate detail on its western facade hints at its past as a Sailors’ Home and Institute. The Jane also has a connection to the Titanic: Some rescued crew members ship stayed here after the sinking. The hotel still has bunk-like quarters (most with shared bathrooms), though rather more luxuriously appointed than they would have been in the sailors’ time. I would not have made a very good ship’s dog, afraid of water as I am. But I imagine there were quite a few dogs aboard the great ocean liners that docked at Pier 54. And maybe a few cats as well. (Mr. Larson notes that the Lusitania‘s cat mysteriously vanished the day before the ship’s ill-fated departure). Carpe Peem! Love it! 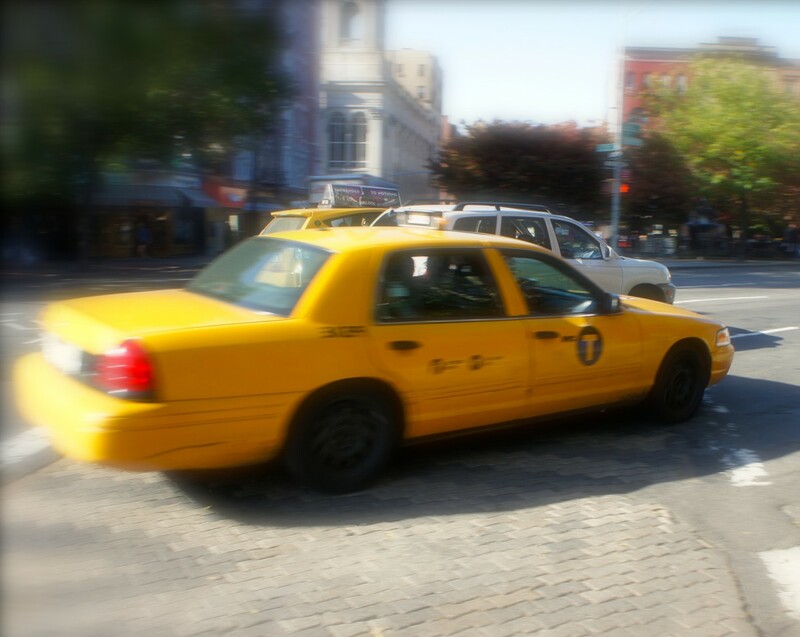 Great post, I love your posts about the places you find in NYC! I consider it a privilege to learn from one who so fully embodies the Carpe Peem philosophy. The history lesson on Pier 54 was especially interesting. Thank you as always for visiting, Pickled Pastor! Great post! Thanks for sharing. I did not know about that pier. Thank you very much. Actually, the official NYC tour guide test is notoriously difficult, and neither my People nor I would be likely to pass it. I do not know Mr. Bird’s song, but I will ask my People to look it up. That’s very interesting Albert. My Great Uncle by marriage was the Cunard Agent in New York in the 1940’s, I bet he knew those places were you walked the other day when they were in their heyday! How interesting, Dookes! Your Great Uncle had what I’m sure was an important position. He must have been there for the last hurrah of the glamorous travel by ocean liner, before air travel sealed their fate. Based on the photos, the piers looked very grand back in the day. Carpe peem – love it (as does Choppy)! And if you ever need someone who shares your desire to visit locations that are less-than-attractive in the odor department to humans, Choppy will be right there with you. We dogs know how to appreciate the finer things in life, like the smell of garbage on a warm spring day. I can tell you and Choppy would have much to discuss when it comes to these finer things in life. Quite the Nautical Historian young Albert. Carpe Peem indeed. Sorry your nasal exercises were restricted, I know Archie gets quite cross with me when he has found a particularly good whiff and wants to fill his head with all of that wonderful information. Still us big people have no appreciation so I apologise on behalf of your human lady for limiting your sniffage…! Thank you for your comment, Mr. Cameron. I am sure that Archie, like me, understands how frustrating it is not to be able to fully explore such wondrous places as a garbage depot. Indeed, they have no idea what they’re missing! We dogs are lucky that way. But you have plenty of adventures in your house, Carol! How lucky you are to be living in a place where new discoveries like this are around every corner! Thanks for the history lesson, Albert! Thank you! It is compensation for having to live in a small space.